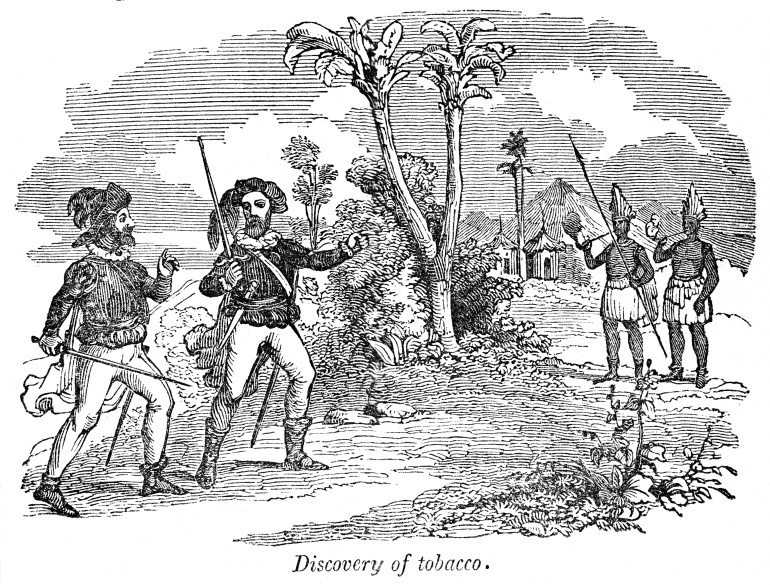 Imported from the Americas, tobacco quickly won over the Europe of the overseas explorers at the end of the 15th century, and then, in the next century, Japan and China, namely through Portuguese merchants as well as missionaries who took the gospel to Asia. In China, the consumption of tobacco, especially snuff, spread widely at the end of the 16th century, to the chagrin of Ming Dynasty emperors, some of whom sought to wipe out the phenomenon, sometimes using force… However, this practice to which medicinal virtues were attributed, adopted by both wealthy and labourer classes in the population, gave birth to a specialised craft form: the snuff bottle. 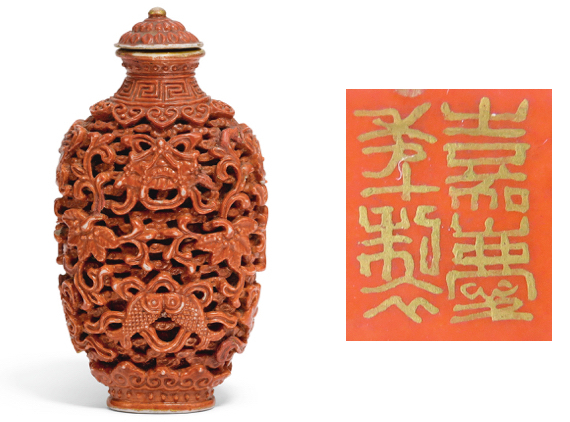 While Europeans produced increasingly sophisticated snuff boxes for carrying about their personal supplies of nicotine for sniffing, chewing or smoking, the Chinese opted for sculpted bottles which, beyond their primary function as receptacles, soon inspired admiration for their aesthetics, their fine workmanship, and their symbolic value continuing a long tradition of Eastern spirituality. Glass – polished for hours like a precious stone and mixed with different metallic oxides – was the favoured material of snuff-bottle makers, even if it’s also possible to find specimens in stone or metal (jade, quartz, lapis, chalcedony, nephrite, gold) and organic materials (ivory, coral, mother-of-pearl, tortoiseshell, bamboo). 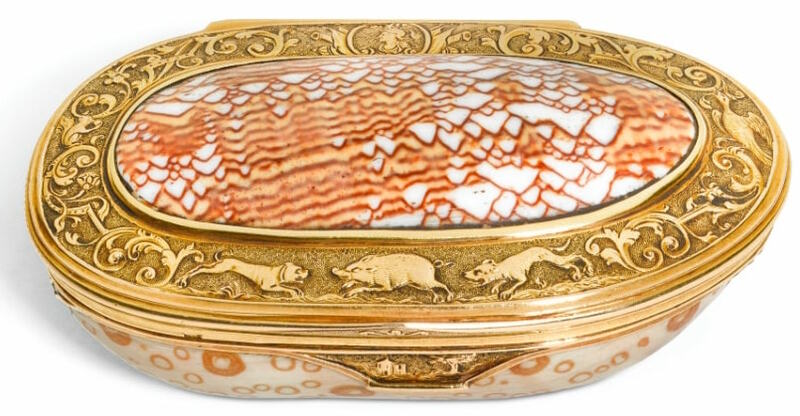 Earthenware and porcelain – a Chinese invention – were also used to make these miniature masterpieces and collector’s items during their centuries of use. Generally closed with a jade stopper, to which a tiny spoon is attached for serving the snuff, these bottles sometimes bear the craftsman’s signature and an inscription specifying the period of fabrication, referred to according to the emperor in power, with Chien Lung (1736-1795), Chia Ching (1796-1820) and Tao Kuang (1821-1850) being associated with the golden age of this unique art. 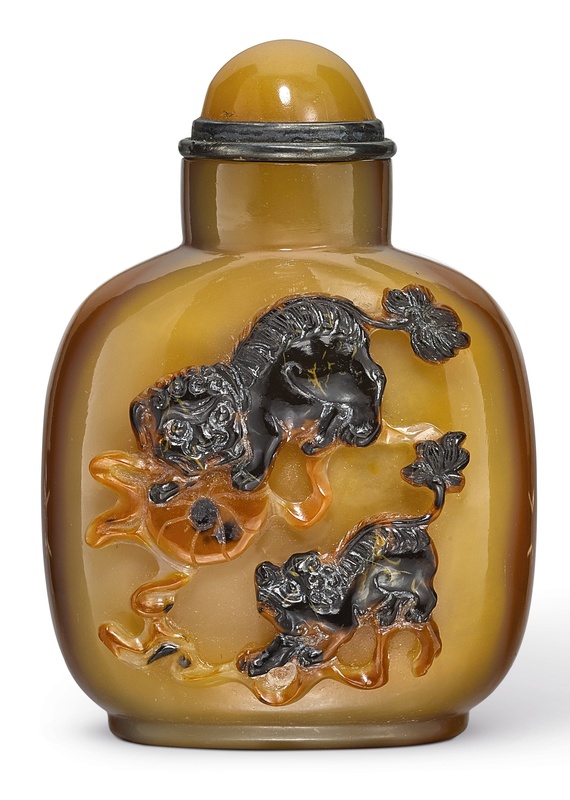 Yet due even more than to the increasingly precious materials used, the value of Chinese snuff bottles lies in the savoir-faire of their craftsmen, capable of producing them from a single piece whereas Europeans, on the other hand, assembled them from a number of disparate elements. Incidentally, this work of patient, endless precision echoes a philosophy according to which greatness is attained through perception of the smallest details…As a finishing touch, the bottles were decorated with symbolic paintings or engravings alluding to history, legends and religions, namely Buddhism, or else sacred figures and animals from the traditional Chinese bestiary (dragons, horses, three-legged frog..), represented as charms to bring luck, wealth, good health or longevity. 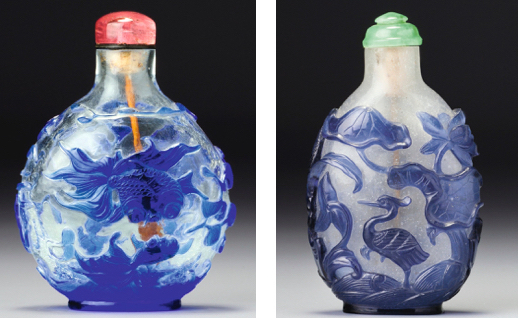 The end of the 19th century saw the emergence of snuff bottles painted on the inside. 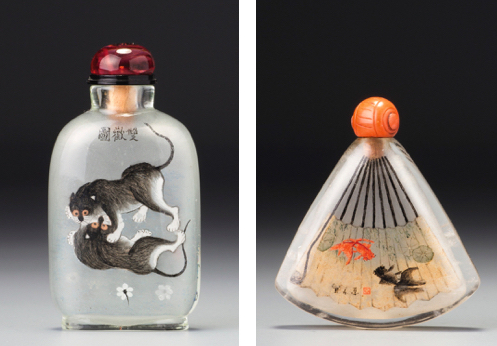 These bottles were made of glass or rock crystal, roughened by an abrasive mixture of iron oxide and water so that artists could produce inverted motifs on the bottles’ inner walls. 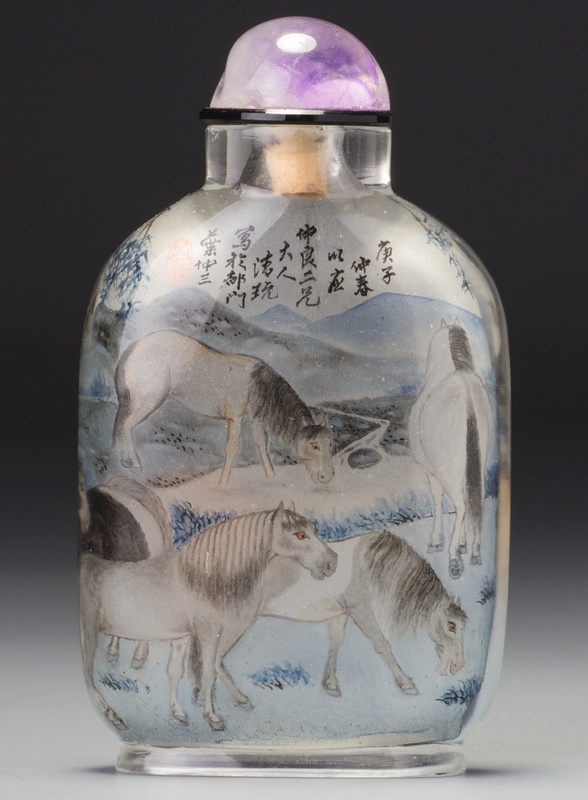 A true technical feat, the painting or calligraphy was applied through the bottle’s neck by using a fine paintbrush, usually in bamboo, folded at a right angle. Artists would often paint or write on their backs, and sometimes took several months to complete these creations. Mythological scenes, portraits, poems and rebuses counted among the inspirations for these works. 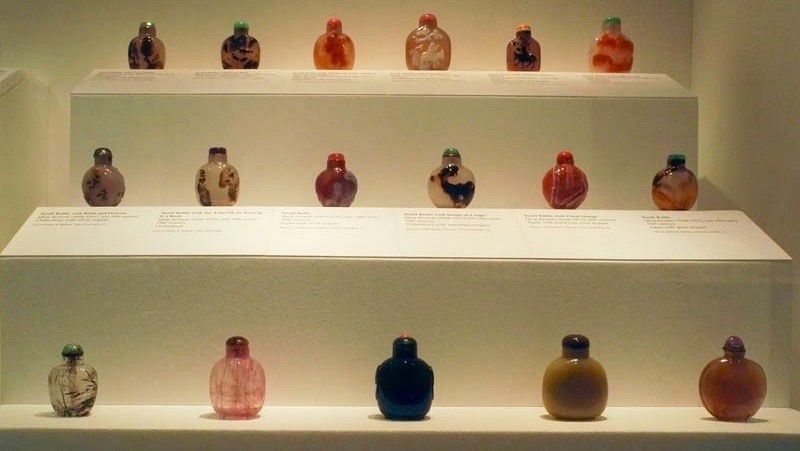 The founder of the Peking school, Chou Lo-Yuan, is considered to be one of the masters of this discipline, even if the period in which he turned his attention to snuff bottles may seem rather brief, from 1882 to 1893. 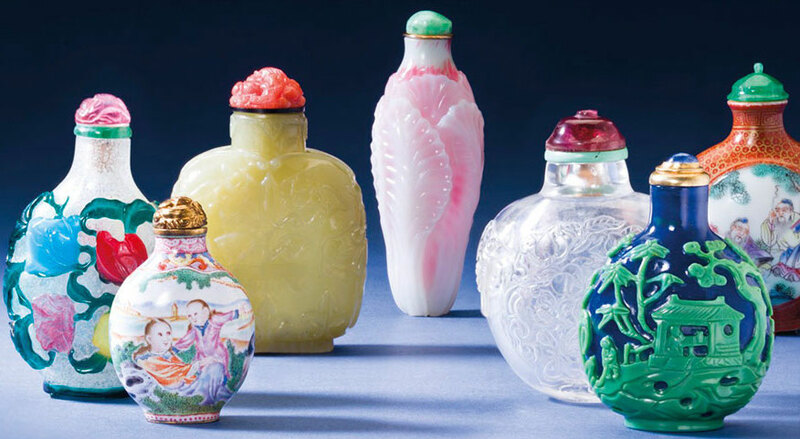 Sun Hsing-wu, Ma Shao-hsuan, the “Rembrandt” of snuff bottles, Yen Yu-t’ien, and Yeh Chung-san are other great names to excel in this typically Chinese decorative art. Today, some of their creations can fetch tens, or even hundreds of thousands of dollars at auction sales. Highly coveted by international collectors prior to World War II, these bottles, manufactured until the 1920s, fell into disgrace following the war. 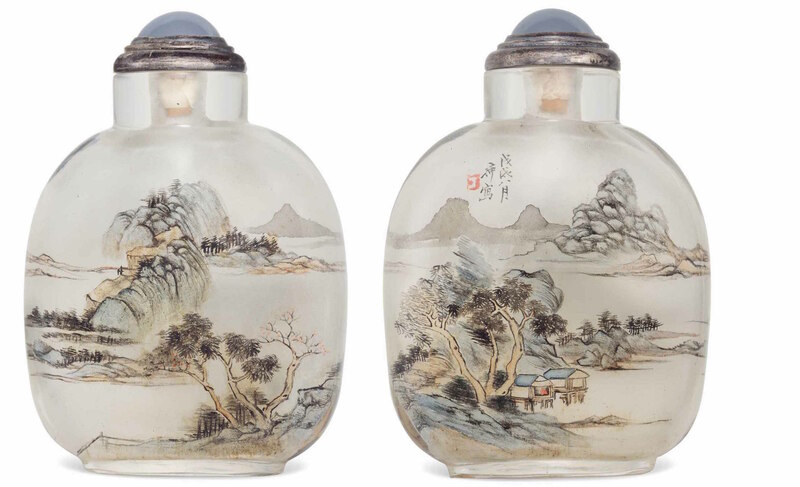 However, resurging interest hoisted their popularity back up from the 1960s onwards, particularly following the publication of a book by Lilla Perry called Chinese Snuff Bottles – now the reference work on this art, both for enthusiasts and professionals. Museums from all over the world also started filling out or showing off their Qing dynasty collections, which until then had been kept in storage. Even without their contents, these bottles are still intoxicating. Find your favourite Chinese snuff bottle on Barnebys.